Cookie's Embroidery and Sewing Creations: What skills are on your list of items to stitch? 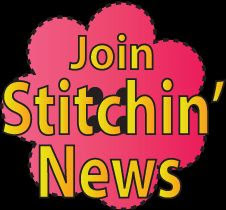 What skills are on your list of items to stitch? Paula Reid arrived at Ashby Sewing for last week's sewing event. I am not a quilter because of little free time. I found the presentation engaging, informative and inspirational. I snapped tons of photos while absorbing great tips. The proof of inspiration is when you act upon it! Meandering with no bunching on top or bottom, evenly spaced throughout the quilt. I had fun throughout the entire process. Even fixing mistakes was easy! It was perfect timing as I was in town, having fun testing sewing machines. Attending this event gave me a greater appreciation of a longer harp, (the distance of the arm between the needle and the right inner side of the machine). You can see the photos of the event on Facebook. 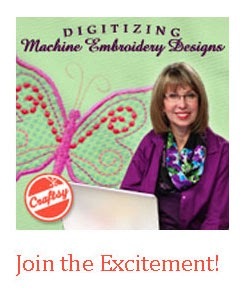 Paula teaches on Craftsy . You can enjoy the same information. I watched the class again and all the info is there. 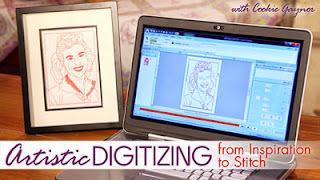 To my friends who digitize their own embroidery designs, the tips were great for quilting embroidery display quilts, too. You know who you are. They will hang straight and last the test of time by following her tips. I came back to my studio inspired with fresh new eyes. Monday night, I finished stitching all my leftover strips made from projects of the past into a pieced topper. (Wish I had taken her class before I had done the piecing but a little girl won't notice.) In a couple of hours each night, I finished the quilt. I layered the quilt exactly as she suggests on my table and used the clipping technique she demonstrates, and pinned with the quilting pins she likes. I aligned my chair view per Paula's suggestions, chose threads accordingly and it was the best free motion quilting session, ever! Every step was a pleasure and not an effort. I'm now the former queen of unfinished pieced tops. I will advance my skills and try all her tips in the class. The best way to learn anything, is to do it exactly like the teacher and then add your personal touch once you have mastered the techniques. I have plenty of room for improvement and I am up for it. Paula Reid has changed my view on the quilting process and I do have time for it at night as it is NOW relaxing! And I am thinking that a stitch regulator is the ticket for me to enjoy the free motion even more. Oh I would love to master how to get all the eight points of a pinwheel quilt block to match up in the center. Getting those little triangle points to come together perfectly gives me fits sometimes. I'll keep practicing, and practicing, and practicing.